Baby Kumari is only 22 years old and has already spearheaded a movement against child marriage and dowry in her village in Bihar. “People do not realise the mental and physical harm faced by a girl who is married young. She is not able to pursue her dreams of education and work. She gets tied down for the rest of her life,” she said, as she talked about how she went door-to-door to spread awareness. On Thursday, Kumari and 16 young women leaders will be taking over as ambassadors of foreign countries for the day. The event is being organised by Plan International, a humanitarian organisation working in the field of child rights and gender equality. The programme is being held to celebrate the United Nation’s International Day of the Girl Child, at The Lalit hotel. Bollywood actor and Plan India’s patron Anil Kapoor and European Union Ambassador to India Tomasz Kozlowski will be the chief guests. The women have been shortlisted for their outstanding leadership qualities, and will be assuming the role of ambassadors of various countries including the United States, European Union, and Canada among others. MA student Shalini (20) has been working for child rights since she was 13, and will be the Ambassador of the European Union. “It is matter of pride for me as I have come from my village in UP to such a huge platform. I gave tuition to sponsor my schooling. I want to use this platform to raise awareness for education of children,” she said. 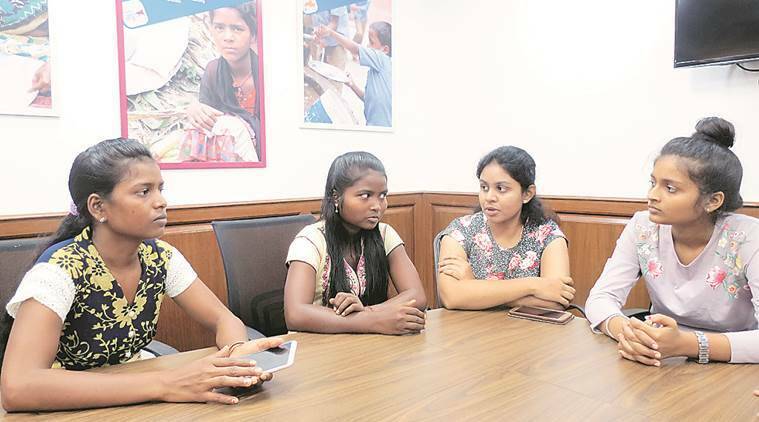 Pari, a 19-year-old student hailing from a tribal village in Uttarakhand, will be the Canadian ambassador and wants to start a dialogue on literacy. “I have researched that Canada has a high literacy rate. I hope that the takeaways from the event can be applied to the very grassroots of the country,” she said.